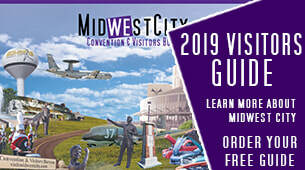 The Midwest City Convention & Visitors Bureau provides services for groups and individuals interested in visiting central Oklahoma for conventions, meetings and tourism. Make your first call to the Bureau and rest assured you will be provided the proper guidance and direction for anything you may need to know. 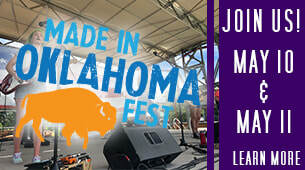 Midwest City boasts the perfect space for your group, small or large. Midwest City offers world-class convention facilities of various sizes and amenities as well as more than 760 hotel rooms. Based upon your group’s profile and needs, our staff will help determine which hotel and meeting facilities will best accommodate your group. We can also offer assistance with information on event venues, dining, catering, entertainment, local attractions and more. The Bureau offers support scheduling site tours and acquiring bids for room blocks to ensure the lodging accommodations meet your needs. As an extra added value in working with the Bureau, access to the local hospitality industry for goods and services needed for your group are easily attainable. We can also help with planning for pre- and post-convention tours, site inspections, convention events, spouse programs and children’s programs. Welcome bags filled with a variety of state and local information and promotional items are always available upon request as a special treat for your group. The mission of the Convention & Visitors Bureau is to stimulate Midwest City’s economic vitality through tourism by positioning and selling the community in partnership with public and private sectors as a premier destination for conventions, trade shows, corporate meetings, group tours and individual leisure travel. In pursuit of its mission, the CVB generates increased visitor spending for the overall business community through creative marketing programs, attractive incentive packages and special events. Our office is conveniently located inside the Midwest City Welcome & Information Center adjacent to Tinker Air Force Base off of 29th Street, positioned close to great shopping, terrific dining and within three miles of the Midwest City Hospitality District and premier meeting facilities.